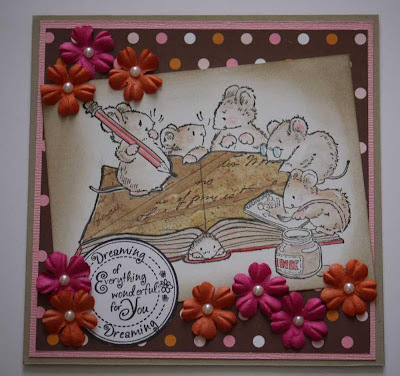 Simon Says Stamp Challenge: Simon Says - Use Newspaper ! WOW !!!! !, THANK YOU so much to everyone who entered our Anything Goes challenge. We have never had to many entries and can't thank you enough for sharing all your fantastic creations with us. The final tally was 1121 entries !! AWESOME !!! 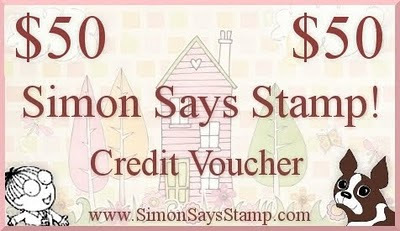 We will be back soon to announce the 2 lucky winners of the $50 vouchers :-) Good Luck to all ! Before moving on to our new challenge this week we would like to welcome two new DT members to the Simon family, Joy aka Less is More and Britta . I am sure you will have all visited both Joy and Britta's blogs but if not, you are in for a real treat ! Welcome aboard Joy and Britta. This week's challenge is to use NEWSPAPER ! Heidi and her staff are at the CHA and are looking out for THE hottest new products so check out the All New Just In Pages there are sure to be lots of fab new goodies arriving soon !! Girls, all your creations are awesome! Love what you did! YAY!! !Congrats Joy and Britta...so nice to see you two here. Looking forward to all the lovely creations. 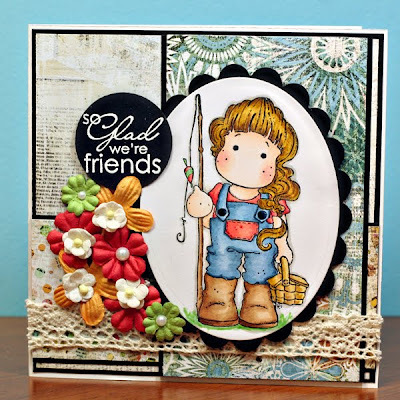 Hi just uploaded my first ever card for your challenge blog, I have just found you guys after visiting Joy's blog. Hope you like my card? Hello to you.. thanks for another great challenge.. i addedthe wrong link and mr linky won't let me delete it... please could you ignore the first entry..
ooooh what a fun challenge! Huge congrats to to Joy and Britta - how very exciting for you both!!! Thank you again for the opportunity to win more goodies! 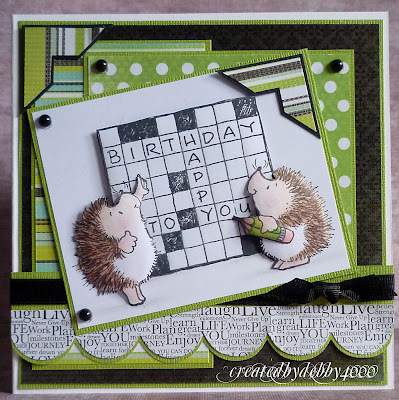 Have linked up a card. 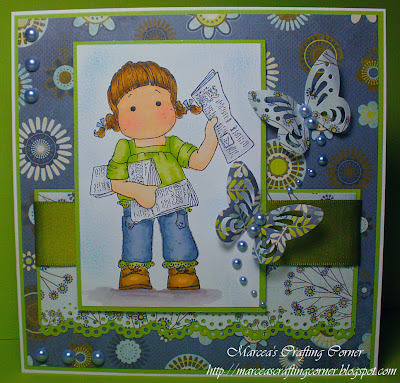 Hoping to get quite a few newspaper cards done this week now I know we can enter more than one! I am also wondering though - does our card have to be made solely for this challenge or can I enter it in other challenges? Such a great challenge and warm welcome to Joy and Britta to the design team. Lovely and inspirational DT cards! 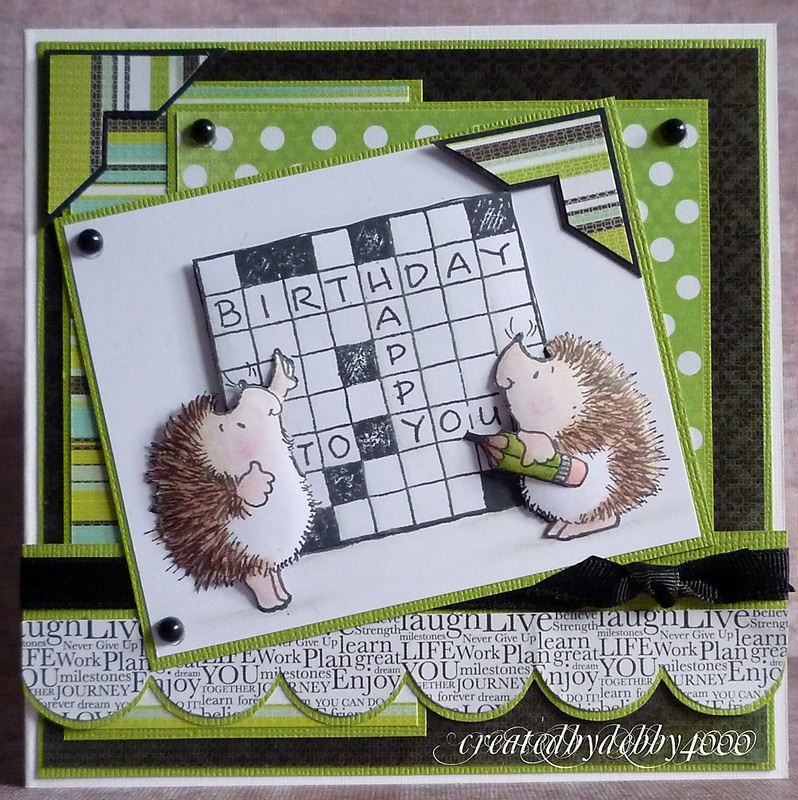 There are some fab cards on here...... Love them all! It's my birthday...YEAH!!!! I am so excited to enter this week. Just got a new camera for my birthday today, and am finally getting the hang of this blogging thing (I hope). I created a card using newspaper that features my hometown, Duluth, Minnesota. I appreciate any peeks and comments. SUPERB DT CARDS, THANKS FOR THE GREAT CHALLENGE. Wonderful challenge...something a little different, which is great! Great inspiration from the DT too..so many different ideas. I just posted another card. Thankyou so much for this opportunity, I had lots of fun! ADORABLE samples!! Thanks for the challenge! 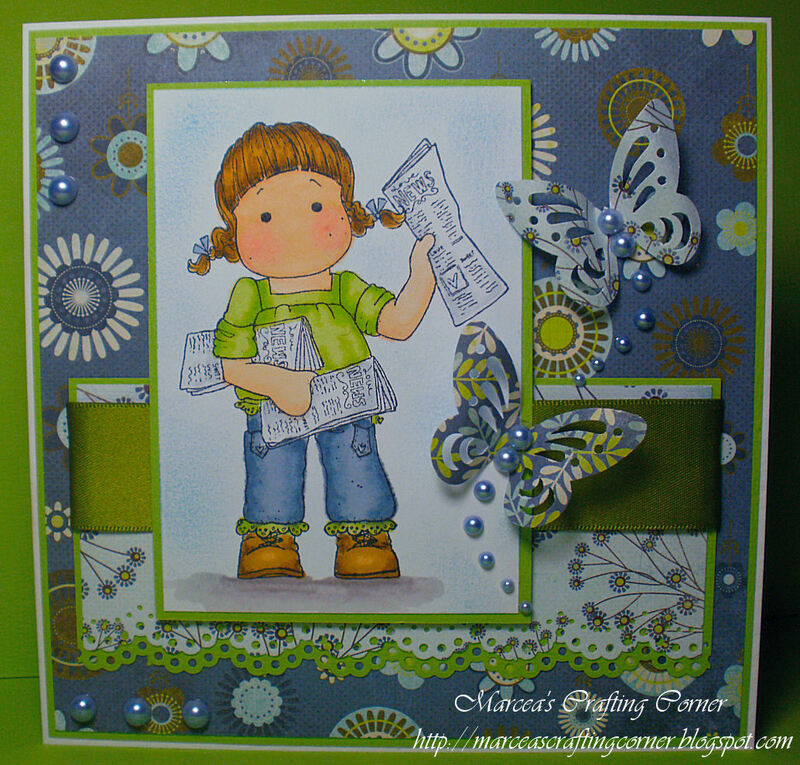 thank you for the great challenge - i had to think about this one - i don't usually use newspaper in my creations! I have one more card.